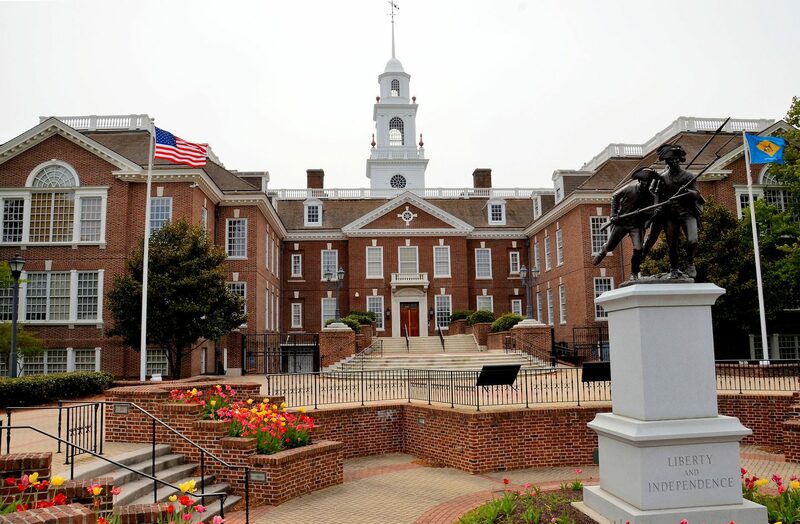 This was a busy week in Dover, substantive legislation was passed, controversial legislation was introduced and vigorous protest occurred on the grounds of the capitol. Senate Substitute 2 to Senate Bill 50, legislation which established a line item in the capital budget over the next five years of roughly $10 million per year for the capital needs of Delaware Technical and Community College, is on the way to Governor Carney's desk after being passed yesterday. The legislation also creates a mechanism, but not an obligation, for state public education funding to be provided to the college. It also creates a “Community College Infrastructure Fund” which would, for now, ostensibly be funded by appropriations to the capital budget, as well as other revenue that the college may earn and direct to it. While this bill does provide the board of directors of the college the ability to issue bonds, those bonds would have to be independently authorized in the capital budget.he bill was a compromise on a multi-year effort on the part of the college to pass legislation which would provide it bonding authority and the ability to levy a property tax of up to 6.5 cents on every $100 of assessed value. The prospect of a new statewide property tax raised concerns. Ultimately, the bill was re-crafted into legislation which, as stated above, allows bonding authority (subject to legislative approval), but no property tax. The college has some $110 million in deferred maintenance needs. Also passed by the House and sent to the Governor yesterday was Senate Substitute 1 to Senate Bill 25, sponsored by Senator Bryan Townsend (D-Newark), Representative Melissa Minor Brown (D-New Castle). This legislation raises the minimum age to legally purchase tobacco products and tobacco substitutes to 21 years of age. In addition to a daily presence in Dover during legislative session, a key part of our mission to benefit our members through advocacy is regular testimony before House and Senate committees, and, occasionally before the whole House or Senate. On Wednesday, April 10, the Chamber’s lobbyist, Joe Fitzgerald, offered testimony before the House Labor Committee and the House Committee on Revenue and Taxation. At the House Labor Committee meeting, they considered legislation which would impose burdensome requirements on contractors engaging in state projects (Senate Substitute 1 to Senate Bill 48), and legislation which would expand the practice of collective bargaining for compensation for state employees (Senate Substitute 1 to Senate Bill 8). Both bills were released, the Chamber will oppose their passage by the full House. At the House Revenue and Finance Committee hearing, members heard testimony on two personal income tax proposals (House Bill14 and House Bill 15) which would impact both households and a substantial number of small businesses in our state. House Bill 14 was not released from committee; but House Bill 15 was. We will vigorously oppose House Bill 15.